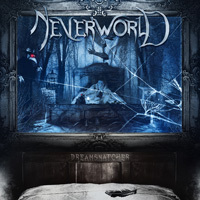 From County Hertfordshire, just north of London, Neverworld returns with their sophomore long player, Dreamsnatcher. And being a promising English traditional heavy metal band, Neverworld channels the seminal and fabled spirt of the New Wave Of British Heavy Metal in their sound. Right from the start, you'll pick up on this motif. Neverworld works from the fundamental element of twin guitar harmony and leads, the same characteristic that made bands, and peers, like Judas Priest and Iron Maiden famous. Riffage abounds within this album, followed by fiery shredding leads. There is little doubt that Neverworld and this album is guitar driven. Yet, the guitars, in turn, are powered along by the stamina of strong rhythm section that delivers both a steady tempo and fierce groove. Then they add some keyboards, more for atmosphere and slight embellishment as they don't really hold a prominent place in the arrangements. However, exceptions could be made for Fall Forever, a slower metal anthem or ballad, or Face The Fear where, at the start, the offer a symphonic layer. As for the vocals, Ben Colton has this baritone timbre. He sings clean, but often sounds like he's struggling. I found his voice tiring at times. Then it made mew wonder if Neverworld should not seek a sixth man, a dedicated vocalist. To touch on a few songs. Neverworld essentially sways between moderate and speedy tempos, often within the same song, while giving you all the guitar glory you can handle. Into The Mouth Of Madness in the first half is mostly heavy metal instrumental, in the latter half, riff heavy with a foreboding feel. Some songs give Neverworld's metal some significant rock groove like Dreamsnatcher and All I Am. 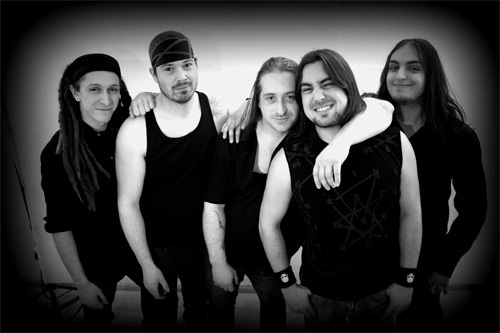 Tempos pick up for a power metal approach with Armies Of The Night and Under They Asylum, both marked by sharper riffs and a thicker bottom end. Bottom line? If you dig guitar-driven traditional heavy metal, bristling with riffage and roaring with solos, then Neverworld's Dreamsnatcher is waiting for you. Recommended. If you dig guitar-driven traditional heavy metal, bristling with riffage and roaring with solos, then Neverworld's Dreamsnatcher is waiting for you. Recommended.